Apart from lipsticks, I am kind of venturing into blush department a lot. 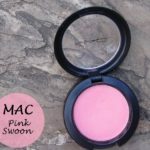 MAC does have some amazing blushes as we know and some blushes in MAC according to me are must haves. 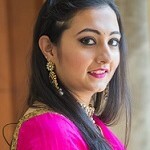 I don’t like made up cheeks, they should either look neutral or very simple to carry yet should add some dimension to the face and warmth to the cheeks. I was eyeing a couple of MAC blushes and on a visit to MAC store, the MUA tried Mocha and Melba both on either cheeks, they are very similar looking and perfect for everyday wear, but somehow I liked Melba more on me, it’s just what I was looking for everyday use. 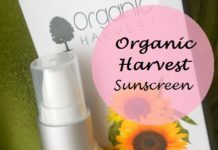 Let’s start with the review and swatches. 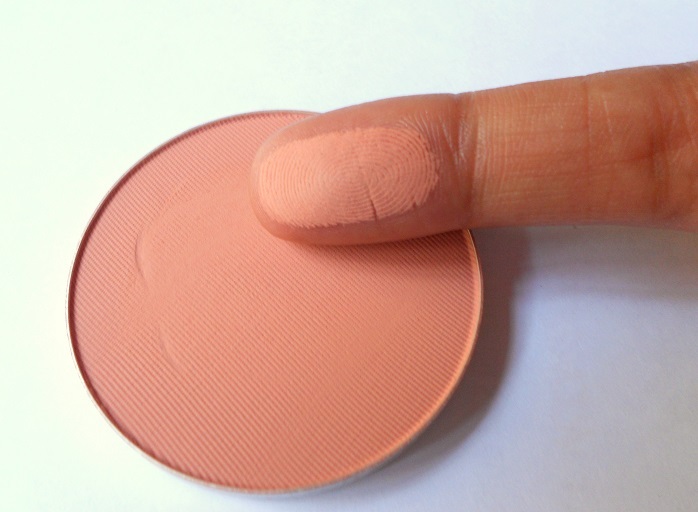 MAC Blushes usually comes in a black round pot with transparent lid to ease out the identification of color. The blush has a weight of 6gms and they charge Rs.1450 just for the round black packaging which I think is a waste of money. What I do is buy a refill/Pro pan form store which weighs 6 gms and comes at a price tag of Rs.1250. I do have a customized palette to keep it. 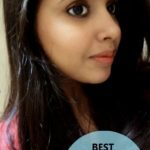 This is how we should save every single penny as makeup doesn’t come cheap! 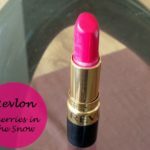 We makeup lovers can’t help buying good products which come at a hefty price tag. 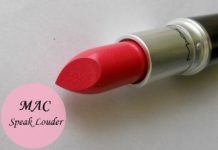 MAC Melba is described as a soft coral peach shade. It does look coral peach in the pan. 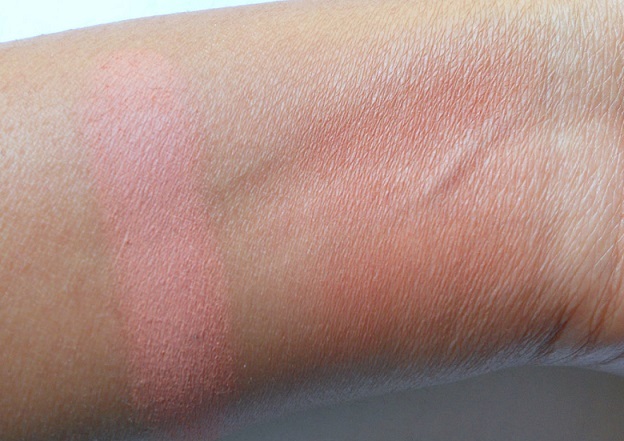 To me it is a dusty peach pink color which is just perfect to add a natural flush to my cheeks. On my cheeks it comes more as a peachy pink shade and it has earthy brown tones to it, so it looks different on each person depending on individual skin tone. 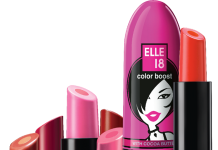 It comes with a matte finish; the texture is very smooth and very soft to apply. There is no chalkiness or powdery feeling which we often face with matte blushes. 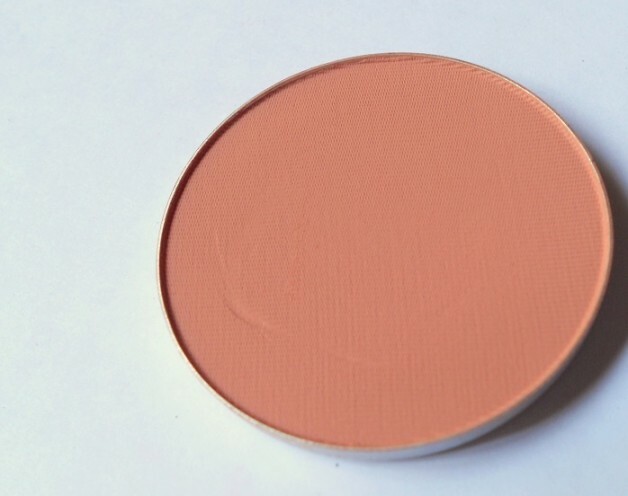 Pigmentation: I would call it a well pigmented blush and it is easily blendable. 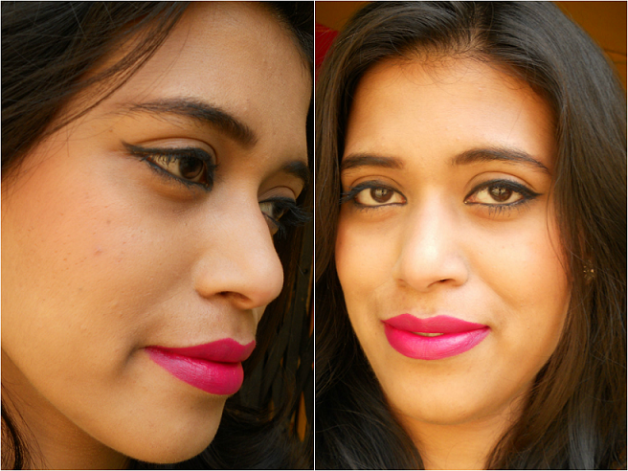 The matte finish I feel is the best finish in blushes and they are truly versatile. It doesn’t accentuate pores on my face which is a plus point for oily skin girls. It stays for about 5-6 hours on my skin. It fades evenly and there is no patchiness. I personally like to pair it for everyday use. 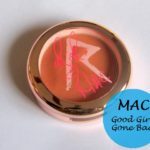 I feel if you really want to try MAC Blushes, then this shade is a must have. It just looks gorgeous paired with dark bold lips. Beautiful Dust Peach Pink shade. 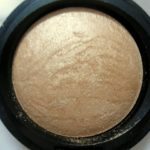 Good for oily skin girls who do not like shimmer. Do I Recommend? 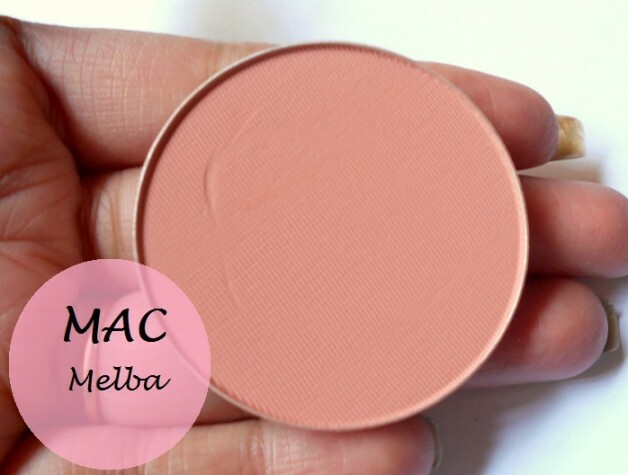 MAC Melba Powder Blush is a perfect shade for everyday use. 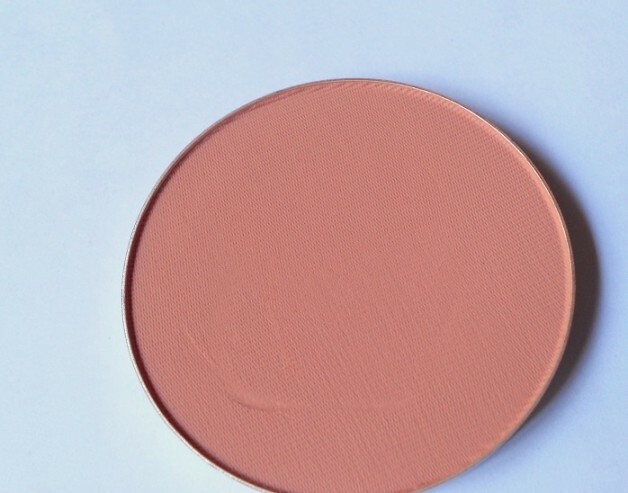 You can never go wrong or overboard with this blush. 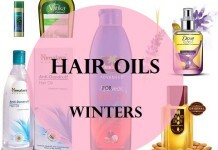 It provides natural flush to the cheeks. The texture being soft eases the blending. 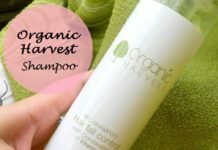 It has a matte finish which I feel is best thing for Oily skin. The shade wills suit all Indian skin tones. I Highly Recommend this Blush by MAC. 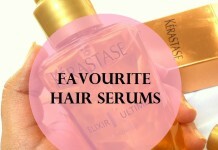 It is a Must Have! Have you tried Melba? Share your views with us. 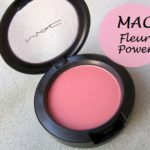 it looks really nice on you..i think this will be my first blush from MAC! 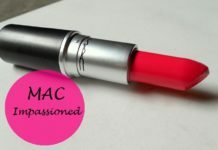 if you have not venture in MAC Blush then do get this for sure. Such a nice everyday shade. I have used The Body Shop’s Baked-to-Lash Blush and the product is really WOW. I used to use blushes from other companies but after using The Body Shop’s blush I got a permanent solution. 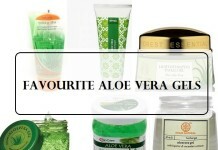 Thanks The Body Shop for the wonderful product.